This transceiver is designed for Cisco 10Gb/s serial optical interfaces for data communications with multimode fiber (MMF). The transceiver can support 1.25Gb/s to 11.1Gb/s. The transceiver designs are optimized for high performance and cost effective to supply customers the best solutions for data-com and storage applications. 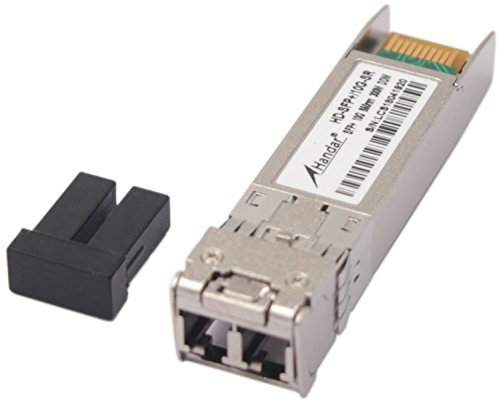 This multi-mode SFP+ 10G transceriver is for Cisco equipment; data rate: 10.3Gb/s; wave Length: 850nm; distance 300 meters.